surely everybody knows the man top left. it is mick gibbons.do not know anybody else. 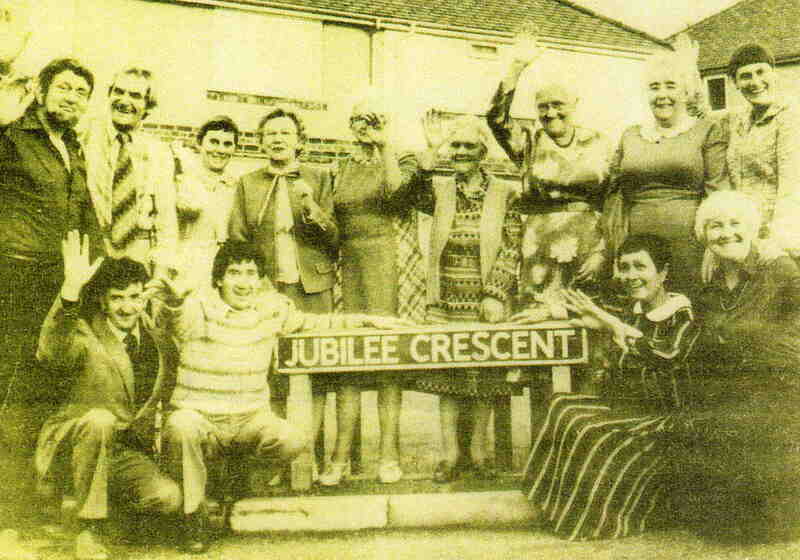 my dads brother, ray weston and family lived at jubilee at one time. mick weston. Bottom row from right, two sisters, Wendy Blackham (nee Hipkiss) ,Joan Rose(nee Hipkiss). Top row 3rd from right, their mother, my auntie May Hipkiss (nee Silver). Dorothy known as Dolly she was born in Woodhouse, Sheffield, ancestors came from Killamarsh, she and husband James buried in St Giles Churchyard.